PM Modi on Friday, in a scathing attack at the TDP Chief, said that Mr Naidu had quit the NDA because he was unable to account for his administration's spending of central funds. 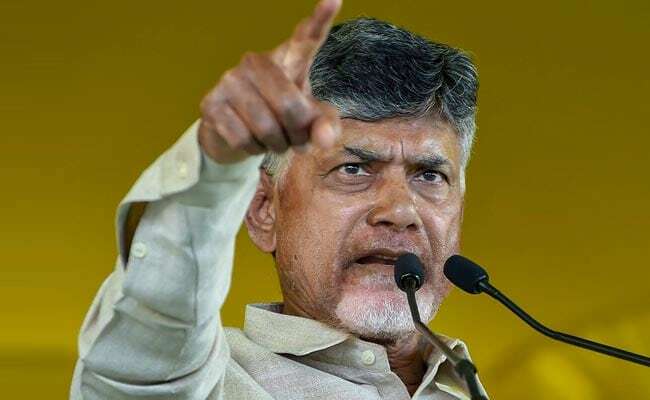 Andhra Pradesh Chief Minister Chandrababu Naidu today launched a fresh offensive against Prime Minister Narendra Modi accusing him of "discriminating" against Andhra Pradesh, "resorting to lies" and not fulfilling the poll promises. "You are not Chowkidar, you are Bakhidar. You have not fulfilled the promises of special status, railway zone, metro rail, Kadapa steel plant. Is it not your conspiracy against AP (sic)?," the Telegu Desam Party Chief said, a day after he was accused of quitting the National Democratic Alliance because he was questioned on corruption. PM Modi on Friday, in a scathing attack at the TDP Chief, said that Mr Naidu had quit the NDA because he was unable to account for his administration's spending of central funds. "When this chowkidar sought accounts from the U-Turn Babu, he took a U-Turn from the state's growth and split from the National Democratic Alliance," he said at an election rally in Andhra's Kurnool. "When we raised the question on corruption, the U-Turn Babu snapped ties with the National Democratic Alliance. Now he has joined up with people who ride the bail gaadi," PM Modi said referring to his alliance with the Congress. Mr Naidu hit back at the prime minister in a five-tweet Twitter tirade this morning. "Coming from the land of Mahatma Gandhi, If you had any respect for him, you would not have resorted to such lies? The whole country now knows that being in power matters the most to you," he commented. The Andhra Pradesh Chief Minister last year exited the NDA blaming the Modi government over special status and financial assistance to his state. He yet again repeated his allegation and said the prime minister was "discriminating against Andhra Pradesh. "Do you consider Andhra Pradesh a part of India? Why this discrimination against us? Why have you shown this kind of negligence towards five-year-old Navyadhra Pradesh? Is this democracy or monarchy?" he posted on Twitter, using the hashtag #Modiisamistake. In another tweet, without naming anybody, he claimed that PM Modi was acting in favour of a culprit with 12 criminal cases. "Mother India would have never thought that she would see a Prime Minister like you. Are you not ashamed to act in favour of the culprit who has 12 criminal cases. Why are you rolling out the red carpet for him in your office? @narendramodi #ModiIsAMistake. (sic)"
The TDP was the first party to extend its support to the BJP in 2014 but the ties turned sour after Andhra Pradesh was not granted special status as promised. Ever since, Mr Naidu has been working on forging an anti-Modi alliance. Last month, as the TDP chief observed a day-long fast to demand special status for Andhra, Mr Naidu said forming an anti-BJP front has become a "democratic compulsion". "All central institutions are being demolished, democracy is in danger. That's why we all have come together," he had said.